The First Performance of a collaborative new work created by the poet, Mererid Hopwood, and two of Wales’ most talented young women composers and harpists – Mared Emlyn and Gwenan Gibbard – to celebrate Osian Ellis’ 90th birthday. N.B. 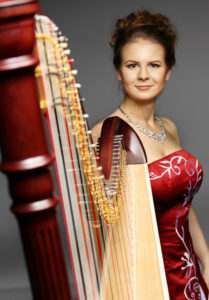 Valeria Voshchennikova, the winner of the prestigious Chief Musician Prize in the 2014 Festival returns to Caernarfon to perform music from her native Russia. 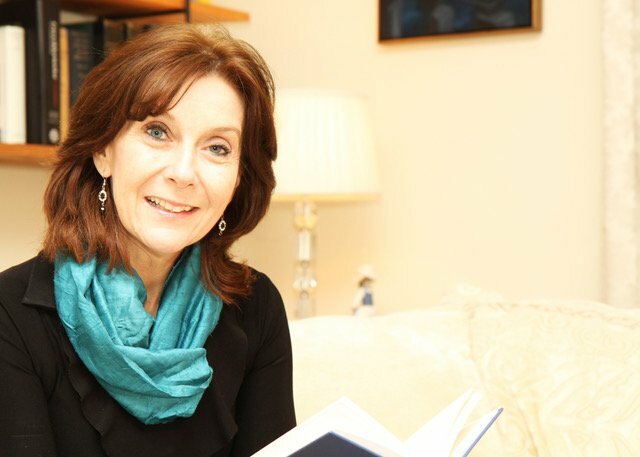 “OSIAN” A poem by Mererid Hopwood (main image above) is the inspiration for an imaginative new work for soprano, tenor, harp quartet, percussion, strings and dancers by the young Welsh composer and harpist, Mared Emlyn, who collaborated with singer/harpist Gwenan Gibbard to present music in praise of the legendary Welsh harpist Osian Ellis who now lives in Pwllheli, Wales. Poet’s note: The poem comprises nine song-scenes. In the first, the listener is taken from the beginning of sound to the moments when song was first given to man and woman. Next, from the voices of rain crystals, of blackthorn blossom bells and tree winds, the song calls out Osian’s name. Borrowing themes from the ancient tale of Osian and Nia Ben Aur, we then follow deer and doe through the woods to Tir Na Nog. Here we find Nia, in the form of a silent, empty, wooden harp, her willow and strings waiting for Osian’s fingers and hands to give her a melody. In the duet that follows, we move from the drumbeat of darkness to daybreak and the song of blackbirds. Osian and Nia are united as scene 6 burst into an exuberant fiesta. Their union conceives its own new song whose birth gives flight to the oldest traditions as we move through scenes 7 and 8, until finally, in scene 9, we hear how these new melodies, in turn, are passed from one generation to the next . New commision by Wales International Harp Festival with funds made available by ACW, Ty Cerdd, RVW Trust, PRSF Fondation for Music, Foyle’s, Colwinston Trust.